Since the main activity of any devops team is around building and refining application code & tests, reporting generally becomes an afterthought. But, with the Extent framework, it doesn't have to be. Extent Reporting Framework is widely adopted and used in many test frameworks. With its API-style usage, and a wealth of available adapters, listeners and examples, you can get started with beautiful and incredibly descriptive reports in no time. If you are migrating from version 3, please note that the core usage remains the same. See the list of breaking changes here. Extent Core is a required dependency for all formatters or reporters. Extent allows creation of tests, nodes, events and assignment of tags, devices, authors, environment values etc. This information can be printed to multiple destinations. In our context, a reporter defines the destination. You can use one or more reporters to create different types of reports. reporters are available for BDD, non-BDD and both - choose one of the reporters from the navigation menu at the top of this page to learn more. This section focuses upon the core usage of the framework. Extent framework follows the Observer pattern and each reporter attached becomes an observer and notified of any changes such as creation of a test, assignment of a category to the test, adding an event etc. Flush writes/updates the test information of your reporter to the destination type. To create tests, use CreateTest. This method returns a ExtentTest object. To create nodes, use CreateNode. This method returns a ExtentTest object. ExtentReports creates a test (CreateTest) and ExtentTest creates a node (CreateNode). Each test or node created is assigned a level in the test hierarchy. The top-most test has a level value of 0, and level is incremented each time a new step in the hierarchy is achieved. You can also pass the gherkin keyword directly when creating tests using the GherkinKeyword instance. A ClassNotFoundException is thrown if the supplied keyword is not found. Use RemoveTest to remove a test which was created using CreateTest or CreateNode. To create an event for a test or node, use test.Log(Status.Pass, "details") or test.Pass("details"). The below status are available but the most commonly used are Pass, Fail and Skip. A test will never be marked with Info and Debug status. These are only available to indicate the type of log, and a test with only these status will be marked as Pass. Fatal has the highest level in the hierarchy and the lowest possible (and default) status in the hierarchy is Pass. Exceptions can be passed directly when logging events. To enable the Defects tab in some reporters, use this approach to log exceptions instead of passing a string representing the exception. You can assign tags or categories to tests using AssignCategory. Assigning tags enables the Tag view in BasicFileReporter reporters. You can assign devices to tests using AssignDevice. 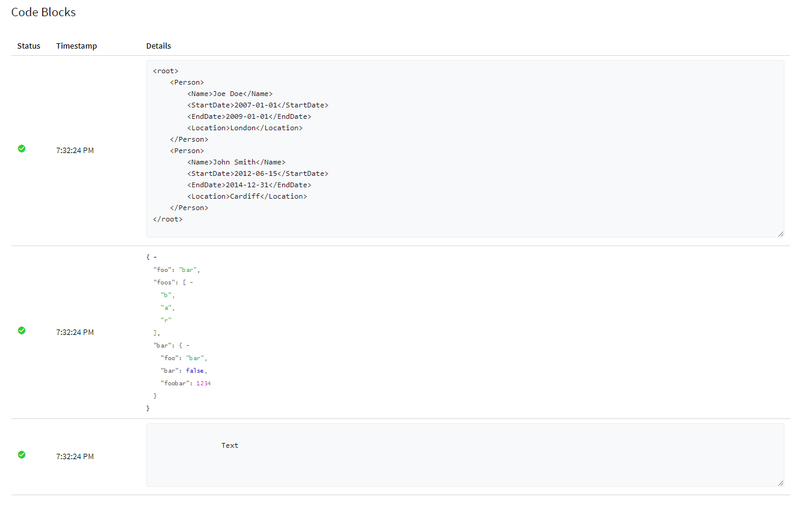 You can assign categories to tests using AssignAuthor. You can add file and base64 snapshots to your tests. Both methods are described in this section. To add screenshots to tests, use AddScreenCaptureFromPath. Note: This method does not "attach" or "affix" the screenshot the file-based (BasicFileReporter) formatters/reporters, such as the Avent, HTML, Email, Logger etc. Instead, the image is saved on disk and is referenced in the report using the <img> tag. Adding a screenshot to a log is a little different as logs do not accept image paths directly. The path must be provided using MediaEntityBuilder. To add base64 screenshots to tests, use AddScreenCaptureFromBase64String. To add base64 screenshots to logs, use CreateScreenCaptureFromBase64String. It is possible to add system or environment info for your using using the AddSystemInfo method. This automatically adds system information to all started reporters. Creating system info also enables the System or Environment view in some reporters. The core Extent API supports several configuration options as detailed in this section. If there are multiple levels, the bottom-most or the leaf test will be considered as Step. See example-3 for more information. Finally, if there are more than 2 levels, the top-most and the bottom-most (leaf) levels will only be considered. It is not required to explicitly set the AnalysisStrategy for BDD tests, it is configured internally if a BDD test is started.